A mature, effective aviation safety management system (SMS) will always incorporate imaginative ways to stimulate teamwork and good communication between employees. These challenges to harmonious work-relationships make the treatment of this subject more difficult. You will not find easy, cut and dry answers to address most teamwork and communication challenges. The basic fact is that good teamwork starts with quality leadership starting from the very top, just like the implementation of best-in-class aviation SMS. In fact, at its root, good leadership is the talent of maximizing individuals' abilities to work together. Another way of looking at this is that good teamwork doesn’t always entail liking whom you work with, but it does always entail good communication. 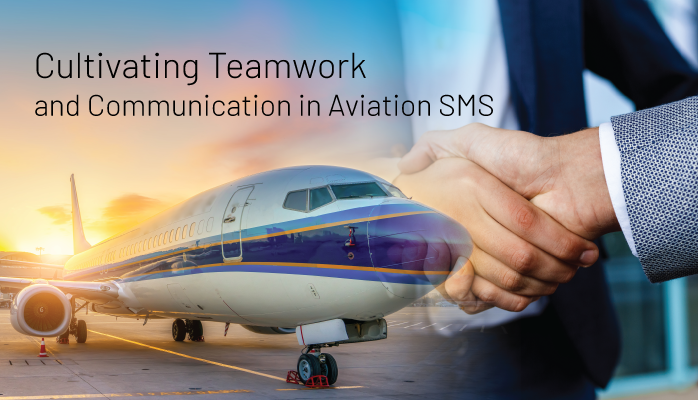 Good teamwork is a model for an aviation SMS, and healthy, integrated SMS should keep developing more effective ways of helping individuals and customers to effectively communicate. Safety managers may believe that improving communications falls outside their job description. What do you think? Your philosophy regarding getting employees to work together and break down communication barriers with employees is immaterial. What do you think your job is? Your job is to stop "The Accident" that we are all dreading will affect our operations one day. When aviation service providers neglect teamwork and communications in their operations, they are not reducing operational risk to as low as reasonably practical (ALARP). Furthermore, teamwork and communication is the core (heart) of the SMS, as these two elements are critical to healthy safety cultures. I have seen cultures where information is not shared, but purposely hoarded so employees AND managers maintained their "expert" power. When employees distrust management, and the best way to keep your job is to be the only person in the company who can perform the task, there is something wrong with this safety culture. This is REAL and happening in professional airlines. This is a big risk and accountable executives should be involved in mitigating this risk. Information hoarding is among the most severe examples of how teamwork and communication fail in aviation SMS. This issue has potentially fatal consequences in the aviation industry. I could not imagine working in company where the safety culture is "every man for themselves." Attitudes in any work environment are considerably top-down influenced. This is to say that attitudes at the lower rungs of an organization tend to reflect those of upper management. It’s also a primary reason why good safety officers make being personable a priority. Management that imparts open and consistent communication (transparency) about safety issues will instill that same behavior in employees as well. Much, much easier said than done of course. If these points are the concerns that a safety officer is continually reinforcing to employees – both in terms of being open about concerns as well as checking in and listening to feedback – it’s only natural the others will follow suit. There are countless ways a safety manager may provide moral support, whether it be consistent and fun safety meetings, going out for lunch, dinner or a drink after work, etc. From safety manager to upper level managers. From listening to hundreds of safety managers, we see that safety manager's goals and objectives often collide with operations managers who job is to perform the mission and generate revenue. When considering these competing demands, it becomes logical that safety managers need to be cultivating good working relationships from both the top and the bottom. 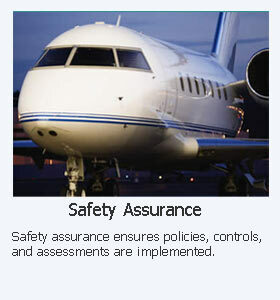 What do you think of when you think of aviation safety training? Sterile smelling rooms, boring videos, text-heavy manuals, etc. No doubt such training sessions are filled with useful information, though remembering any of it afterward can be hard. The fact is that most of us don’t go into training with high hopes and a good attitude. Humor and interactivity are fantastic ways to make things stick. Engagement is about adding humor, charisma, and interactivity to training. Note that training sessions don’t need to be an intensely serious endeavor, and as a former teacher, I have found that the most important thing in education is making the important principles “stick” by whatever means possible. But training can be as simple as sending out a weekly or daily “How-to,” or "Make sure you…” with an important principle presented in a humorous way. The key is consistently to keep safety fresh in employees' minds. At first glance, such an idea might be silly – but accidents tend to be silly with serious consequences. People don’t make mistakes because they were “being so smart.” Reminding someone of a very obvious “don’t do this” with a funny picture or story very well may make someone think twice before making that simple mistake. Policies and procedures for different situations is a wonderful tool for giving different employees – who may be vastly different in background, culture and character – common ground for communicating. The chances of miscommunication are considerably reduced if there are clear steps to follow in hazard-prone and/or charged situations. Of course, non-punitive reporting policy in your safety program plays a huge role here. A safety culture that is quick to dole out repercussions is a breeding ground for extra stress, blame, and under-confidence. Naturally, where there is policy, there must be training – yes I’m beating on the training drum. Part of good safety management is about leveraging good situational procedures. Aviation SMS processes should be regularly review to ensure they remain relevant in the ever-changing operating environment. Since we are talking about communication and procedures, let's remember that procedures should be written in language that can be understood by the common man. Most line-employees don't have college degrees, yet the technical writers often write procedures as if they were trying to please their bosses with their masterful prose. Procedures must be easy to understand by everyone that is expected to interface with the system in question. I have indirectly highlighted the importance of informal methods for teamwork and communication in the aviation industry. Aviation safety may appear to be highly regulated and systematic, and therefore easy to feel bureaucratic, uncaring, and unnecessarily complex. Adding life and charisma to the resources of training and supporting employees will make a huge difference in communication and satisfaction at work. It makes things more interesting and shows that you care. And it cultivates an environment where employees can readily reciprocate. When employees know their behaviors are tracked, they are more inclined to participate in aviation SMS. Here is an example of how to easily monitor employee safety performance. Published December 2015. Last updated January 2019.